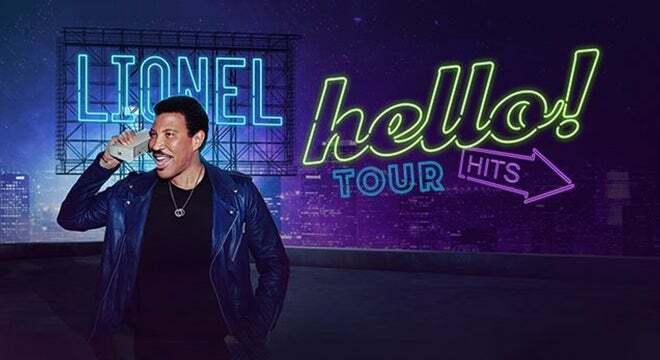 Lionel Richie will launch the “Hello” tour on May 28 at Smart Financial Centre in Sugar Land, TX. He’ll be playing all the hits during the headline outing, which includes a stop at DTE Energy Music Theatre on Sunday, June 30 at 7:30 p.m.
Lionel Richie takes fans on a spectacular musical journey with his new album, Live from Las Vegas. The collection, set for release on August 23, marks the legendary artist’s first release on Capitol Records. All online tickets purchased for the summer 2019 North American headline tour will include a CD copy of Richie’s new album, Live from Las Vegas. VIP packages will also be available. Citi is the official card of the “Hello” tour. As such, Citi cardmembers will have access to purchase pre-sale tickets beginning Tuesday, April 2 at 10 a.m. local time until Thursday, April 4 at 10 p.m. local time through Citi’s Private Pass program. For complete details visit www.citiprivatepass.com. “I am so excited to bring my Live from Las Vegas album to life and to share it with my fans. Also, I’m really looking forward to going on tour and performing for everyone this summer – it’s going to be one big party,” said Lionel Richie. The album Live from Las Vegas was recorded at Zappos Theater at the Planet Hollywood Resort and Casino. It features Richie performing material from throughout his career, including beloved songs from his solo albums (“All Night Long,” “Say You, Say Me,” “Hello,” “Dancing On The Ceiling” and “Truly”) and his time with The Commodores, where he developed a ground-breaking style that defied genre categories, penning smash hits such as “Three Times a Lady” and “Easy.” The album also includes an inspiring performance of the landmark song “We Are the World,” which Richie co-wrote for USA for Africa. With more than 100 million albums sold worldwide, an Oscar®, a Golden Globe®, four Grammy Awards®, the distinction of MusicCares Person of the Year in 2016 and Kennedy Center Honoree in 2017, Lionel Richie is a true music icon. The Tuskegee, Alabama native is one of only two songwriters in history to have charted No. 1 records for nine consecutive years. In March 2018, Richie put his handprints and footprints in cement at the TCL Chinese Theatre IMAX in Hollywood, one of Hollywood’s oldest honors. He was a judge on ABC’s American Idol in 2018 and has returned to the judge’s chair for the 2019 season.